Do you need a free, no-obligations quote? Mondo Agit provides a technical specifications translation service. Thanks to our network of experienced translators, who are highly trained in their respective fields, our technical translations are of a superior quality. Every technical translation is, of course, carried out by native translators specialised in the subject area, and later proofread by other experts, in order to offer the best possible end product. Our translators rely on the support of the latest translation technologies when carrying out their work. Reading and understanding the text. This is only possible if the translator knows and understands the many technicalities and often complicated rationales behind texts of this kind. Writing the translation. In order to carry out this second step, the translator must be able to write correctly, have a perfect knowledge of the relevant technical terms in the target language, be up-to-date with the latest developments in the field and possess a strong command of the source language. For this reason, it is essential to use native or bilingual translators. Once the text has been translated, it is sent for proofreading and correction, which is carried out by native translators or proofreaders. 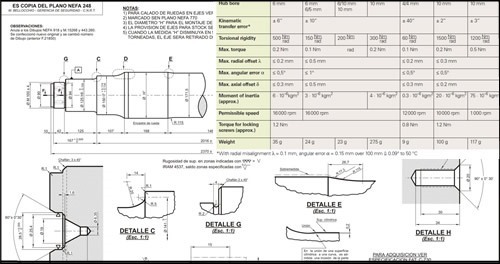 Technical specifications are documents containing information about a product or device aimed at the end user, which explain in detail its features and the minimum requirements to be met. Such translations are essential for providing clear information to both technicians and users, to help them either use or repair the product accordingly. The translator should take into account the sector that the document belongs to and any significant orthotypographical characteristics of the target language when translating figures and measures, in order to acieve a high-quality translation that does neither compromises the use of the product nor the safety of its users.